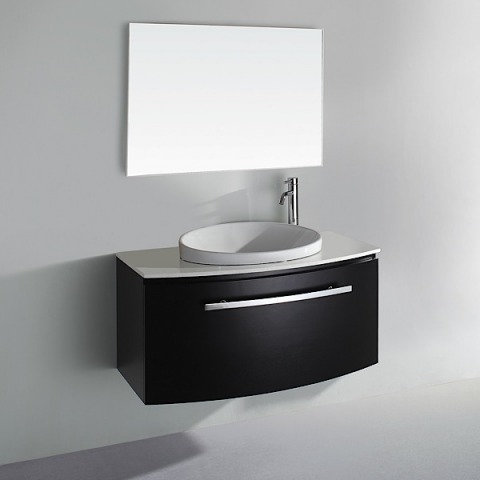 The wall-mounted Aspen Vanity is the perfect combination of practicality and design. 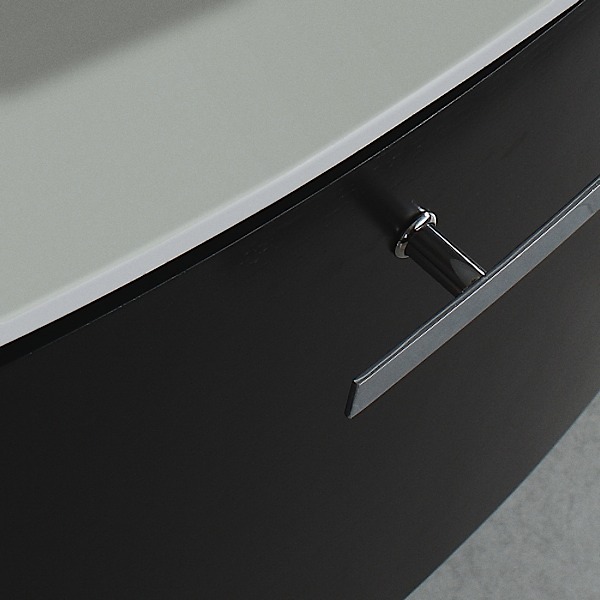 The prodigious single drawer is outfitted with fully extending side-mounted Blum soft-close drawer slides and an over-sized pull. 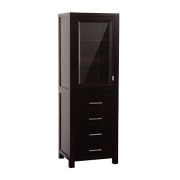 Constructed of environmentally friendly, zero emissions solid oak hardwood with natural wood veneers, Aspen is available in pearwood, espresso, or ironwood finishes. The semi-recessed porcelain sink is stationed in a pure white cultured stone counter. It should be noted that the faucet is NOT included; the faucet mount is "single hole". 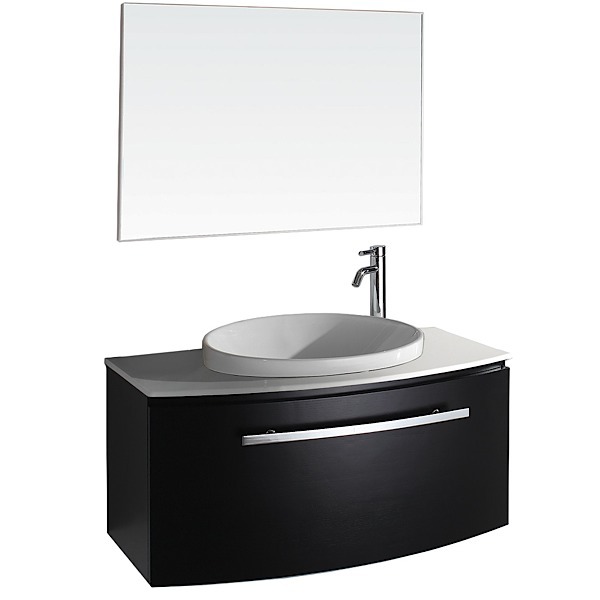 The set includes a matching 40" by 32" mirror with brushed steel finish.